Sponsoring a chapter event is a great way to show off your skills and services! 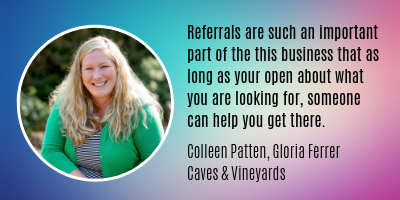 As the special events industry continues to become an active force in our ever-changing economy, our members are the human voices and talent driving the local industry. A unique association, ILEA connects independent event producers, corporate planners, association event planners, venues, transportation services, catering, design, floral, rental, technical, and production suppliers all under one umbrella. It is the perfect showcasing venue for new and innovative products. 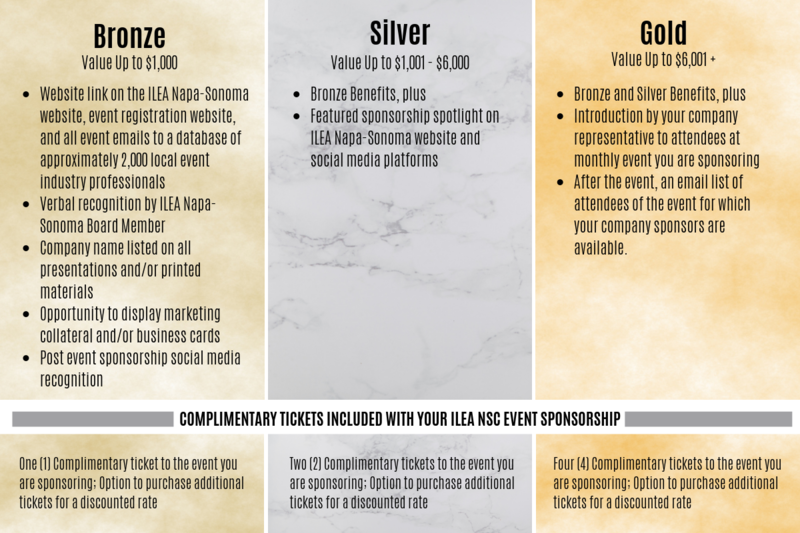 ILEA is the direct connect to reach this valuable audience for member and industry organizations desiring to promote their products and services. Please contact your ILEA VP of Programs, Pilar Mustafa at pilar@flutter-events.com for more details. To check out some of our recent sponsors, visit our Featured Sponsors page! Don't forget! If you’ve already committed to a sponsorship, please send us your marketing information. Fill out this form and email your images to info@ileanapasonoma.com. Qualification for a Supporting Sponsorship is submission of a service contract stating the amount donated (retail or commonly sold price) 2 weeks before the date of the event. Review Tiered Benefits in our Package Details. For more information, contact us via email.